Looking to enjoy an adrenaline-packed experience? Need to inject some energy into your life this spring? 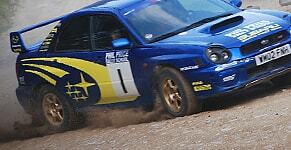 Phil Price Rally School pride ourselves on offering some of the best driving days in the UK. Specialising in thrilling, action packed driving days, our gift vouchers are given for all sorts of special occasions, from birthdays and anniversaries to graduations. We promise the ride of a lifetime for every participant with everybody buzzing at the end of the day (and many of our visitors coming back for more!). We give you plenty of time behind the wheel and waste as little time on theory as possible. Our venue offers breath-taking views over the Welsh countryside, making it an enjoyable experience for both drivers and spectators. We have the most passionate instructors who will give you one-to-one tuition. Phil Price offer excellent value for money and won’t be beaten for our hands-on approach. We give you the chance to drive on genuine forest rally stages. 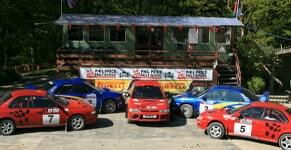 Phil Price Rally School have rave reviews on Trip Advisor which have earnt us a Certificate of Excellence. Our corporate days are ideal for team building or for groups of friends and family. Discover more reasons we offer the best driving days.